May is Lupus Awareness Month, and in 2017, World Lupus Day is May 10th. 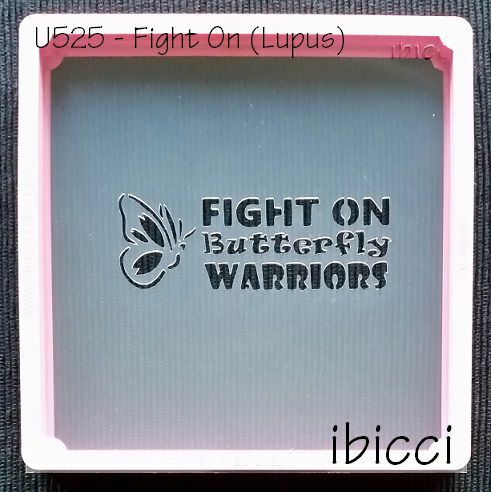 All Awareness stencils on this site are permanently discounted in support of causes. The ibicci Stencil Genie stencils measure approximately 5.5" / 14.2cm square and fits the Stencil Genie as shown. ibicci stencils are made out of reusable, sturdy food safe .007mil plastic. Size [Choose Size]3" 3.5" 3.75" 4"